Well done, Deb! Absolutely striking!!!! I really love how the olive ribbon and sentiment just POP off the light blue. 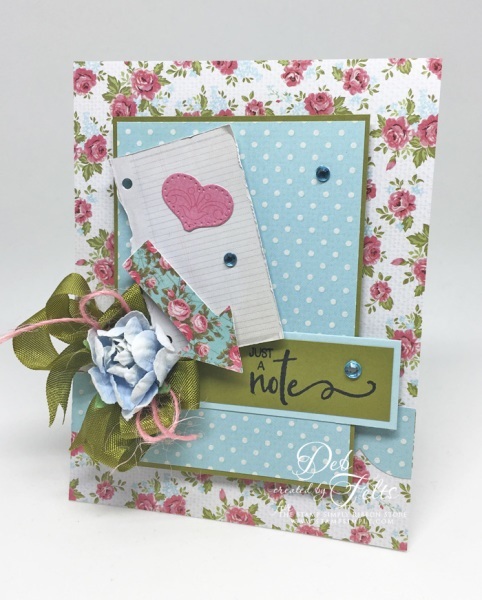 And for Deb, a card is never complete until the inside is done! As with the arrow on the front, the Love You was pulled from the paper pad. 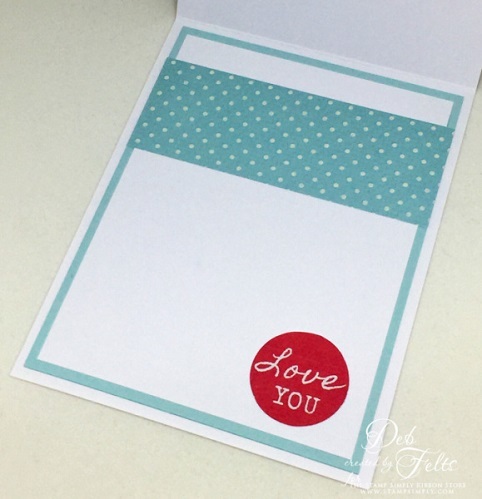 The pad also includes a variety of punch out borders and sentiment tags. 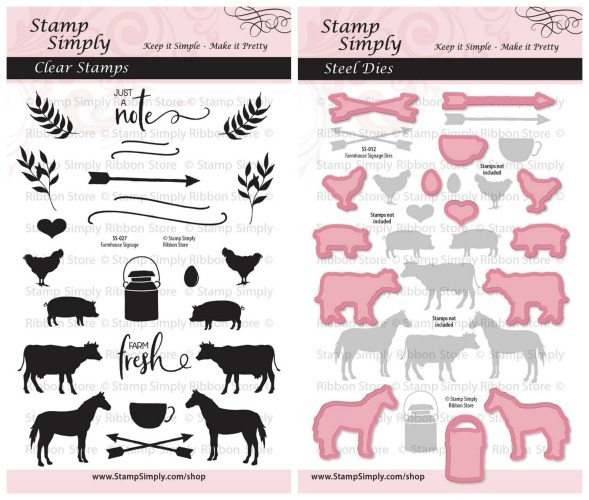 One just has to LOVE Kaisercraft for their easy-to-create-with paper collections. 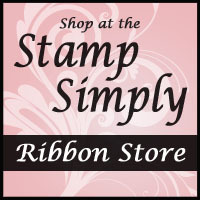 Deb only used a sentiment from the stamp set today. 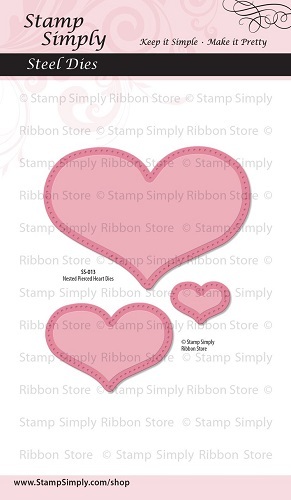 I love the delicate pierced edging detail and the somewhat plump shape of these hearts. A gorgeous collection from Kaisercraft. 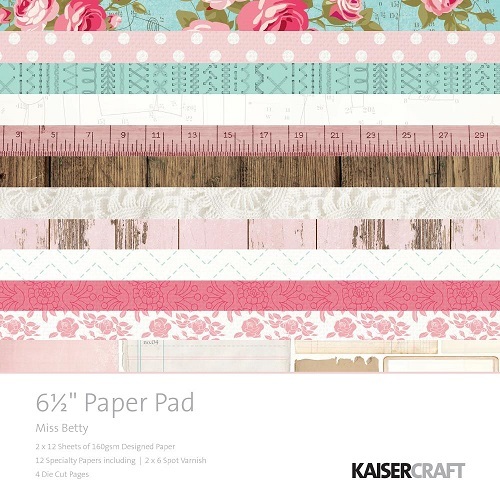 Find ALL 6.5 x 6.5″ paper pads by Kaisercraft here. This flower is in stock in 4 gorgeous colors! 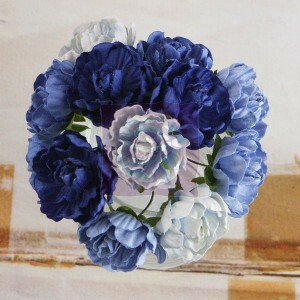 Find all Prima flowers in stock here. We have a HUGE selection of flowers – find ALL flowers in stock here.